A family pet thought dead following a house fire in Russell early Saturday morning was found safe over the weekend. The Donald Powers family thought their 32 year old turtle, named Turtle Wurtle, died in the fire along with three cats and three lizards. 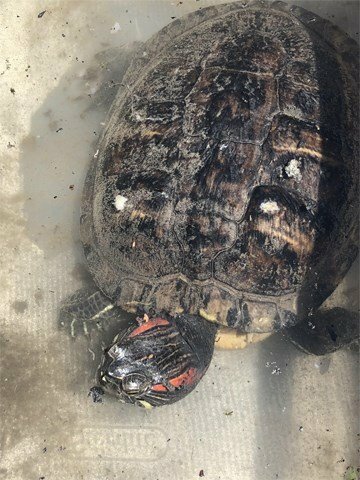 According to an email sent to 7 News, the family found Turtle Wurtle covered in ashes, but safe Sunday afternoon in the gutted dining room of the home. The turtle was rushed to an exotic pet veterinarian in Albany for emergency care. Turtle Wurtle, apparently, has a history of what was described as Houdini-style escapes. The Powers home on the Pyrites-Russell Road was destroyed by a fire that was reported around 2 a.m.
Donald Powers, his wife, and their daughter escaped unharmed through the front door.